Werner Horvath has been painting since his youth. From 1969 – 1975 he worked in the style of Phantasic Realism and has since turned his style to New Constructivism. Horvath works with the idea that reality may not be so real after all and that the world we live in can be understood as constructed by ourselves. His work uses vivid color and imagery in a way that only he can do. For more than 15 years Horvath was also a chief radiologist, specializing in interventional radiology in Linz. 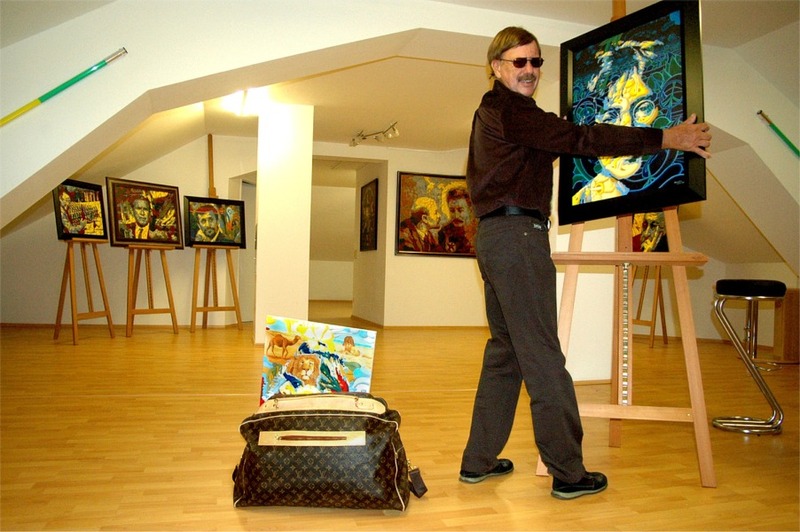 But at the age of 50 he decided to quit his job and since this time he is living and working as an artist in Linz, Austria, and during the summer in his studio “Villa Arte” on the island of Crete (Greece).